With five Michelin stars, three pools and some of the biggest rooms in the city, the Four Seasons Hotel Hong Kong is almost too good to be true. If it weren’t standing there in all of its shimmering glory opposite the IFC, you’d hardly believe the Four Seasons Hotel Hong Kong exists… A prime location at the heart of the CBD means getting anywhere you need to be is a cinch, but the hotel’s true draw…is that it gives you plenty of reasons not to go anywhere at all. Why head out for dinner when there is the Caprice restaurant - a shimmering two Michelin star, where even the stunning Swarovski chandeliers and views of Victoria Bay won’t tear you away from the food? Then there's the three Michelin starred Lung King Heen - the first Chinese restaurant to earn the title (and arguably, the best in the city) or the Sushi Saito, the first overseas branch of a restaurant where Barack Obama and Shinzo Abe shared a meal. Harbor views from the hotel’s Blue Bar also make for a night cap with a wow factor while spacious rooms with floor -to-ceiling windows make heading back for the night an option that’s just as tempting. Unrivalled views of Hong Kong's magnificent harbour and the dramatic cityscape. Infinity pool overlooking the harbour and resort-like setting provide an oasis in the midst of vibrant Hong Kong. Wonderful, and all of the staff is incredibly dedicated. Simple luxury, the staff is efficient and very pleasant. The Four Seasons HK is perfect The pool is a very nice place and the staff is perfect. Beautiful view . The staffs were certainly do their best to please you . They are 6star staff ! !the best. An excellent and well located hotel. Special thanks for having given me access to my room from my arrival at 8.00am. That changed my whole day. One of the best hotels we know.as last time same high standard. Especially to be mentioned: Guest relation Manager, Ms. Selby Ho. She fullfills any expectations regarding guest satisfaction. In addition FS Counter at the airport (Mr Jay) is a great service. We will be back soon again! Cleanliness, efficiency, kindness and invaluable help from the concierges. The level of service here is far superior to what you would experience in Europe. Great hotel. We received two room upgrades which made our stay special. This is one of my favorite modern hotels! But what I especially loved during this trip, is the friendliness of the all the staff, and the service which is clearly above par. Four Season Hong Kong was very receptive to our children and made them quite welcome, which is a plus travelling with small children. Staff at Four Season were superb and extremely attentive and helpful. Had a wonderful stay and look forward to returning. The hotel has been excellent, the staff brilliant, really impressed the hotel manager owners round and speaks to the guests, was good to meet him. We have stayed in many top class hotels, first time I have spoken to the hotel manager in any. All the food and service in every restaurant was great, but the French restaurant, Caprice was outstanding. Great hotel with outstanding service. Stunning harbour and Kowloon views. A fantastic hotel, with a very nice atmosphere at once luxurious and elegant. Outstanding service. An excellent Four Seasons hotel. Top quality service including airport reception and check in. Pool is superb. Room extremely comfortable and well equipped. So far, the best hotel I have tried in Hong Kong. Hotel and location is perfect. We love the stunning harbour views &amp; vast windows in our rooms.....overall very comfortable stay with attentive, accomodating &amp; helpful staff, particularly the concierge, bell hops plus F&amp;B crew in the restaurants. It'll definitely be my top choice when I next return to HK. The spa facilities &amp; relaxation space were amazing &amp; clean, possibly the best I've used too. Very good. I was surprised to discover gifts in my room each night (bottle of wine and macaroons to apologize for an elevator problem, book about Shanghai and Beijing on the last night). Excellent quality hotel with professional staff especially on the club level. 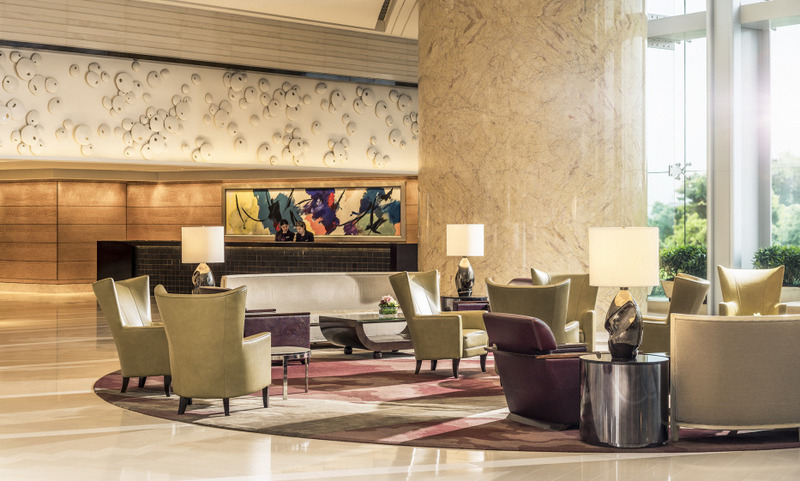 We are delighted to have booked the Four Seasons Hotel Hong Kong through Grand Luxury Hotels. We wanted to book a table for dinner at &quot;Caprice&quot;, but the restaurant was fully booked. So we sent an email to the concierge at Grand Luxury Hotels who was able to find and book a table for us ! We also received a room upgrade. A big thank you to our &quot;dedicated advisor&quot;. PS. this is our second experience with you and we will of course continue to book our stays with Grand Luxury Hotels. Breathtaking view ! Beautifully decorated, luxury and pleasure everywhere. Fully equipped in every detail! Fantastic website, advice offered was excellent and the speed and ease at organising a birthday dinner at the hotel restaurant was fabulous. Had a surprise birthday cake in both my room at the hotel and at the restaurant, felt very special...!! Probably the best hotel we stayed at until now. Truly exceptional. Service really perfect, simple and friendly at the same time. The welcome at the airport was really great! Very few negative remarks: the orange juice served at breakfast is not pressed, and the shower spray is too strong and not dimmable but apart from that ... perfect stay ! This is probably the best overall city hotel where we stayed! Gorgeous! Only the three-star Cantonese restaurant was a bit disappointing.